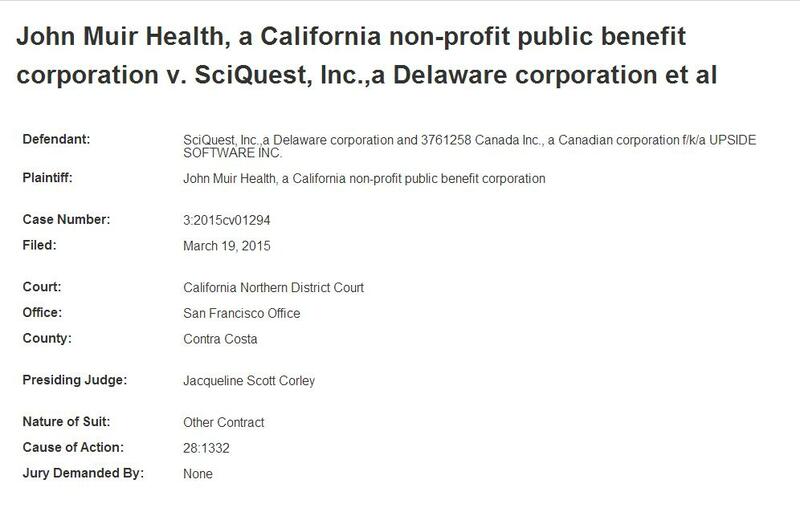 Since the action was just filed yesterday, the details are still somewhat sketchy however, what we do know is that John Muir Health, a California non-profit public benefit corporation has taken legal action against SciQuest for what is listed as being a breach of contract. Over the next few days we will continue to follow developments surrounding this story, as well as see if we can obtain comment from representatives of either party. News Update . . . 3761258 Canada Inc., a Canadian corporation f/k/a UPSIDE SOFTWARE INC. named in suit. Employee reviews of company less than positive. While employee discontent is not necessarily unusual or representative of the entire employee population, what impact if any did this have on the case?